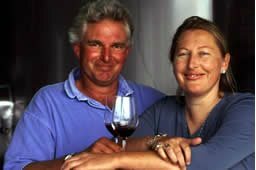 Claire and Mike Allan run this small estate, with Claire in charge of winemaking duties. The vineyards are managed under the Sustainable Winegrowing New Zealand scheme, which encourages members to embrace appropriate environmentally and economically sustainable production methods. These wines are distributed in the UK by Bibendum Wines. For all stockists of Huia wines, see wine-searcher.com.